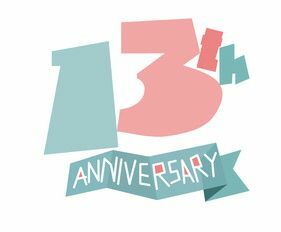 i sta rted blogging on 27 sept. 2003… and so today is my 13th anniversary. been very active after i started blogging, which i focus on socio-political matters and Current News. then slowly i also thrown in some personal posts here and there amidst the most socio-political posts. i got to know a lot of other bloggers and even had many bloggers gathering. my blog was a few times featured internationally at global voices and once i was interviewed by the magazine, clove, from the star, about being a blogger. my blog was also featured in the malay mail and the singapore straits times once. wahh… those wrere the days. looking at my blog archives, think it was somewhere in mid 2011 that i stop bloggng regularly, then in 2013 stop being active. then in 2014 i did some posts here and there until april 2014, i stop again and no posts at all for the rest of the months until may 2015, i made two posts, then stop again… until today! wow! this means i had stop for more than a year. in between that time of me being inactive i had so many times said i wanted to be active again and start blogging regularly but keep putting it off. well i guesss partly because of the lure of facebook! nowadays it is much easier and faster to 'talk' about socio political stuff or current news on facebook. however one advantage of blogging is, it can be lengthy. facebook posts/comments are usually brief ones. well i will try to blog more often from now (oops. famous last words?? haha) but of course not daily…. at least once a week or once a forthnight.